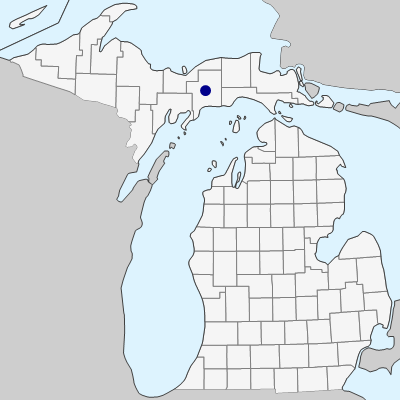 A prairie species, collected in a sandy area along a railroad in Schoolcraft Co. in 1981 by D. Henson (1326, MICH), and presumably introduced from farther west. This collection was reported as P. gracilis in Michigan Flora, from which it differs in the ± pinnately divided leaves (though with a short axis) and the narrowly conical style that is glandular-papillate on the lower half. P. gracilis has clearly palmate leaves and a columnar, smooth style. MICHIGAN FLORA ONLINE. A. A. Reznicek, E. G. Voss, & B. S. Walters. February 2011. University of Michigan. Web. April 19, 2019. https://michiganflora.net/species.aspx?id=2842.